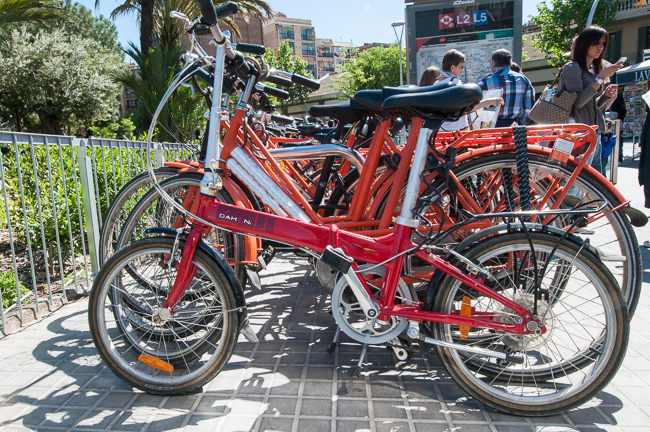 When you join us for one of our Barcelona bike tours, you'll have the pleasure of riding one of our Dahon folding bikes. Our Dahons are made in the U.S.A. and are one of the most trusted names in the business. Take a look below to read about Barcelona Experience´s flagship tour bike. One of our Dahon bikes just waiting for you to ride off into the city. We believe in our Dahon bikes just like Dahon´s founder Dr. David Hon did more than twenty years ago when he left his career with Hughes Aircraft Company to design a foldable bike that was easy on the environment and even easier to ride and store. 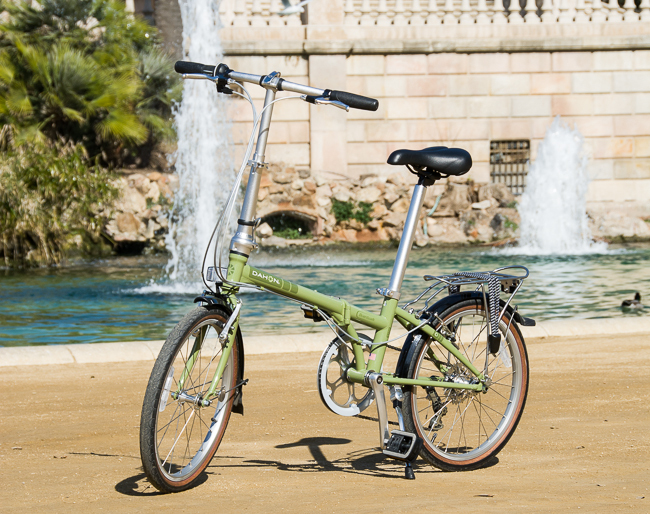 Hon´s journey resulted in a bike that wowed the engineering world and led a revolution of folding bikes. That revolution is now a staple in big-city culture. 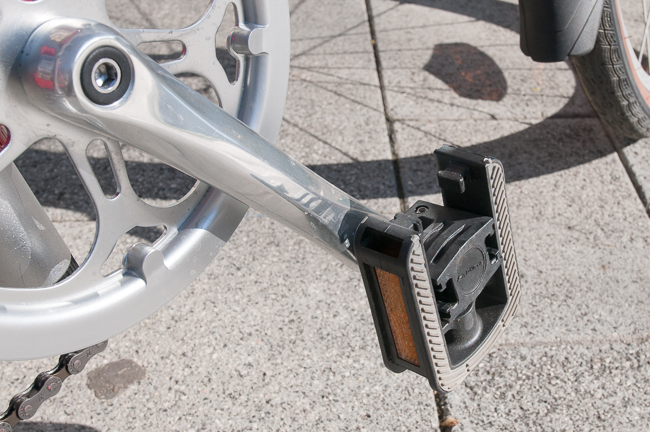 You can´t go more than a day without seeing someone scooting down a Barcelona sidewalk on a folding bike. 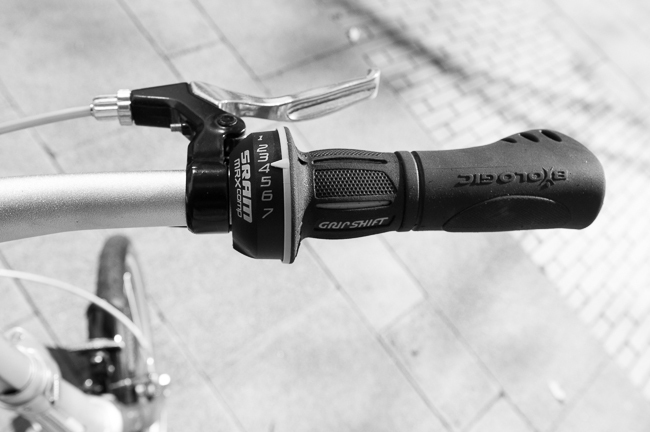 Dahon´s bikes led the charge, and to this day maintain a reputation of superior quality and design. At about $800 per bike, a Dahon is a serious investment. 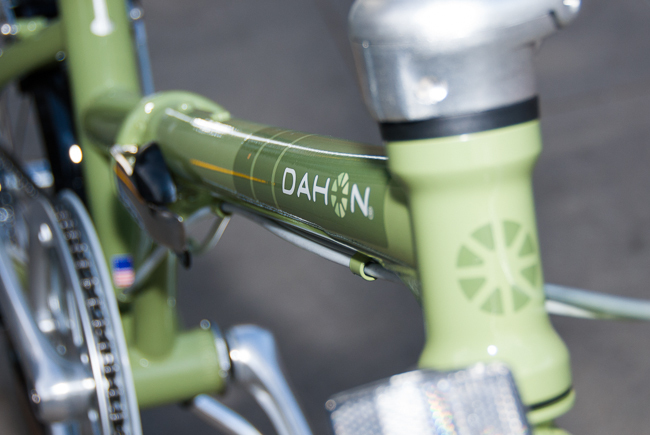 Our stable of Dahon bikes is a sign of our commitment to you. No battling your way through narrow streets on a battered behemoth of a bike. 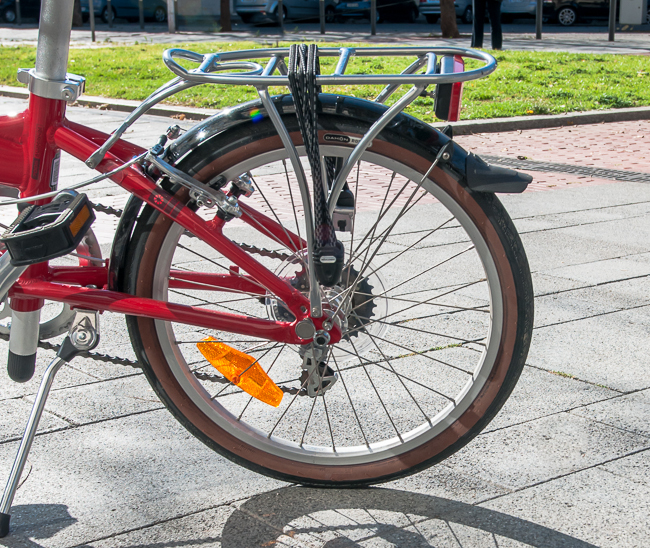 You're guaranteed one of the best two-wheeled rides in Barcelona. Riding the narrow and busy streets of the city center as well as the city's parks and beaches. Hopping on and off the metro or making a stop on a sunny terrace. Anyone that knows how to ride a bike! The Vitesse is a light, smooth-riding, highly-responsive and maneuverable bicycle designed for urban landscapes. 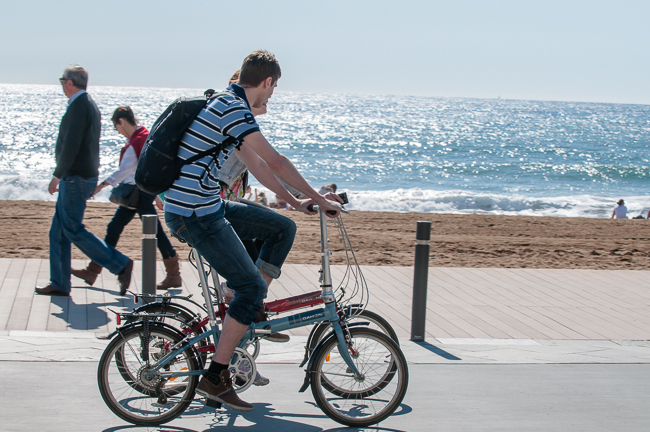 Its solid aluminum frame, 7 gears, bike rack, high-end components and its ability to fold in 15 seconds make it the perfect two-wheeled choice for exploring Barcelona. Fold it up to take or store anywhere in just 15 seconds! One size fits all (almost). A lot of fun to ride! Highly responsive: short wheel base and smaller tires makes turning tight corners a breeze. 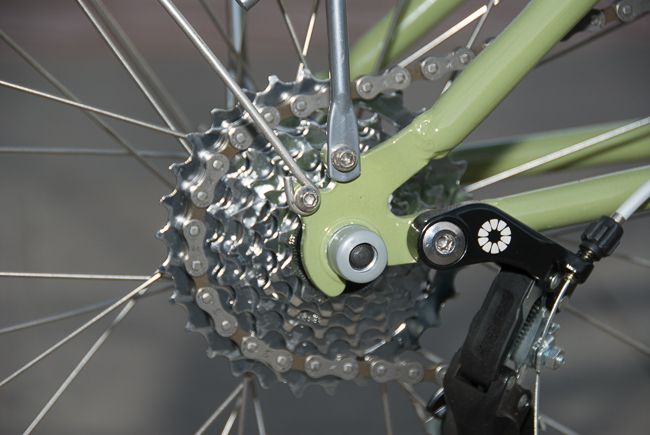 Gears (inches): 34" - 92"
Frame: KA Series, 7005 butted aluminum alloy. Shifter(s): SRAM MRX Comp, SRS technology, RapidRise.